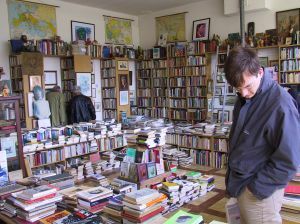 Will Independent Bookstores Be Able to Survive Without Selling E-books? In today’s editorial I wrote about my perception of the changing culture at Barnes & Noble, a company that is transforming itself amide internal and external strife. One of the things the company has managed to do is incorporate e-books into the products it can offer customers and, increasingly, this looks to be a key to its future. But what of the independent booksellers? In December, when Google eBooks went live, the American Booksellers Association announced that stores with IndieCommerce websites would now be selling Google eBooks online. You can see a list of the stores participating in the program here. It’s a healthy list, but not nearly representative of the scope and breadth of the independent bookselling community. What will the remainder of the independent booksellers do should the next generation of book buyers migrate to digital e-books? Will independent stores be able to survive without selling e-books?